We offer quality Malleable Hardware that are specially crafted by our expert team of artisans. These are known fro features such as sturdily designed, finely polished, durability, perfect finish and corrosion resistance. 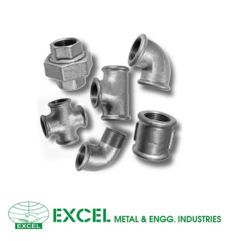 We have on offer a superior range of Malleable Fittings, procured from trusted manufacturers in the industry. These are provided by us in various dimensions as required for specific applications. These are manufactured as per international quality standards and guidelines. We quality check these at various stages of procurement to ensure the quality and efficiency of their operation. We offer Malleable Fittings to our clients. 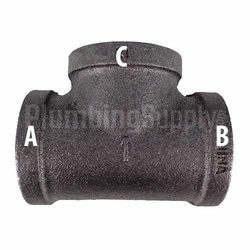 Specifications Diameter : 1/8" to 6"
We deal with G.I Malleble Fittings along with Short Piece G.I.